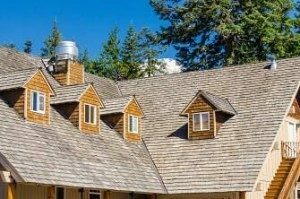 Our quality residential roofing services, have provided over 10,000 successful roof projects throughout Halton Hills and the surrounding GTA. Over 26 years of quality work has given us the local reputation of being roofing experts that you can rely on to put a good roof over your family’s head. 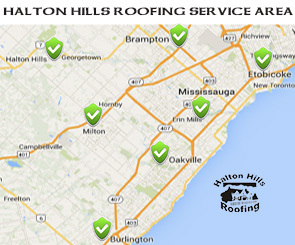 The team at Halton Hills Roofing places very high priority on customer satisfaction. We proudly offer a no obligation free roof estimate, along with a free roof inspection to anyone in the market for a new roof or potential repairs of an existing roof. A free design consultation is also provided, to ensure you receive exactly the product and end result you intended. Sample shingles and colour matches are offered from over a dozen options to help clearly define what is the best choice for your roofing needs. There is a 50 year limited warranty on our materials. New customers will be automatically upgraded from the basic 25 year shingle, to our 50 year high-grade architectural shingles designed for increased durability. Our roofing services provide an Iron-Clad 10 year labour warranty against any defects caused by installation, construction, etc. Green friendly is important every step of the way with our residential roofing, commercial roofing, and roofing repair. Metals and plastics are recycled where possible. Materials that are used are environmentally friendly and not purchased from suppliers that do not support clean and reduced carbon footprint practices. In addition to being green, every home that we shingle supports local youth and many community charities that we donate to. We are experts in providing new roofs, roof replacements, roof repairs and will happily help you with whatever your roofing needs are. into each roof is quality material. 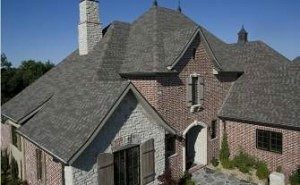 Our durable architectural asphalt shingles, are guaranteed to be well built, offer a 50 year manufacturer’s warranty and are a product upgraded from the typical 25 years offered by most roofers. Another popular option that offers a beautiful aesthetic charm is cedar. If you are looking for a unique and elegant roof that even weathers beautifully over time, then cedar is a great choice for you. This style offers better insulation than asphalt, letting less heat and cold escape through the roof and making for lower air conditioning and heating costs. Cedar roofing also provides even better protection from wind damage than asphalt shingles. However, on some slope levels it can provide less effective protection from rain, so it is a good idea to have us come for a free consultation, inspection and estimate to see if cedar roofing is an option for you. Call to discuss at (905) 702-2306. As well, you can check out our Roofing Shingles Buying Guide. In addition, we are also experts in many flat roof options such as EPDM roofing. If you would prefer a flat roof for your home, or would like one for your garage, then we will happily provide a great quality roof with full warranty. While there are a number of great options to choose from in materials, certain materials perform better depending on factors like the pitch of your roof and the structure of your home. This is why we offer such a detailed roof inspection and consultation with our prospective clients, so that we can better assess your roofing needs. Schedule your free roof estimate, inspection, and consultation at (905) 702-2306. 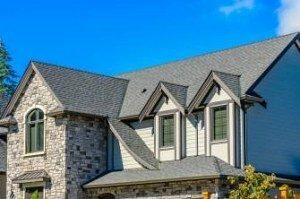 Your West GTA home is covered by Halton Hills Roofing Georgetown and let us help you get a beautiful, well-built, new roof over your head and keep your family safe! Give us a call for your roofing needs – (905) 702-2306.